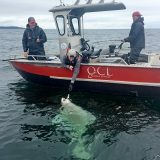 QCL Halibut Record is Broken Again! 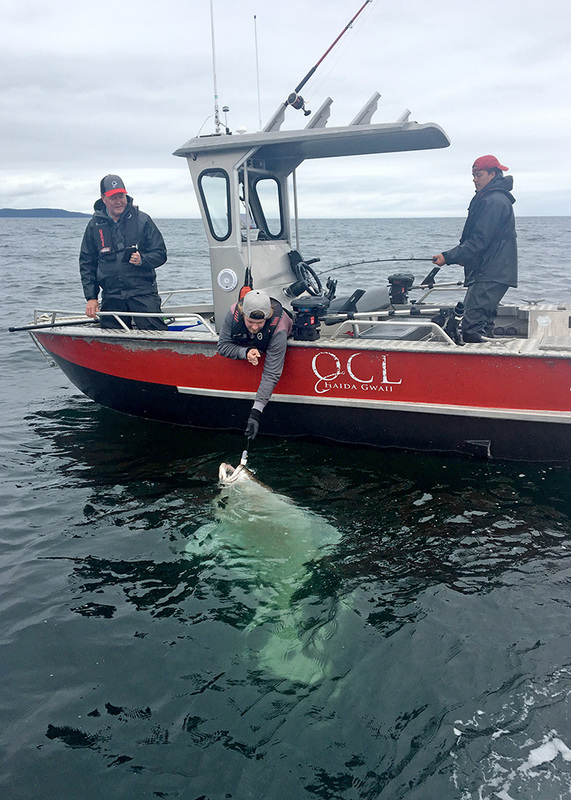 Halibut fishing has become more popular than ever at QCL and with good reason. 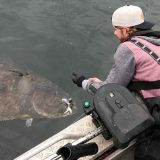 “Back in the day” most of our guests picked up a couple of random halibut while mooching for salmon and they were happy with that; not going offshore to jig for halibut meant more time for catching salmon! 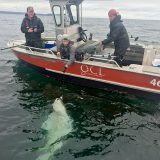 With the introduction of GPS mapping of the fishing grounds many anglers have found their own favourite fishing holes and return to them year after year. 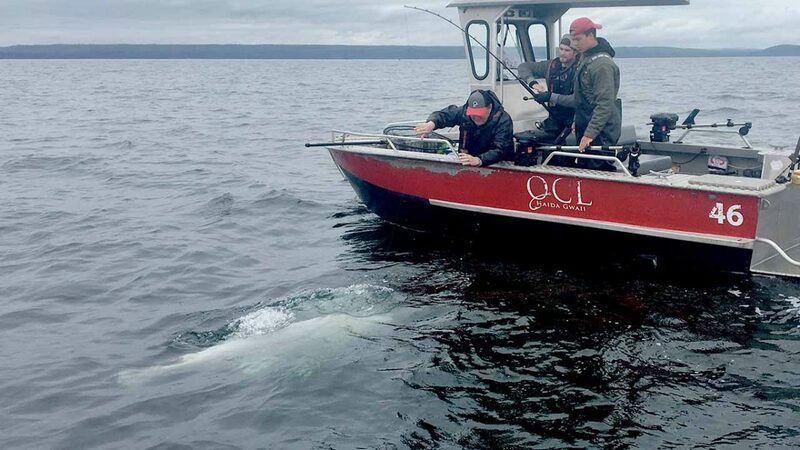 Releasing all of those big breeding females over 75-pounds has been a good thing too. 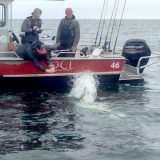 As a result, many QCL guests make fishing for halibut and lingcod a priority during their stay. We know that there are some big fish out there; some really big fish. 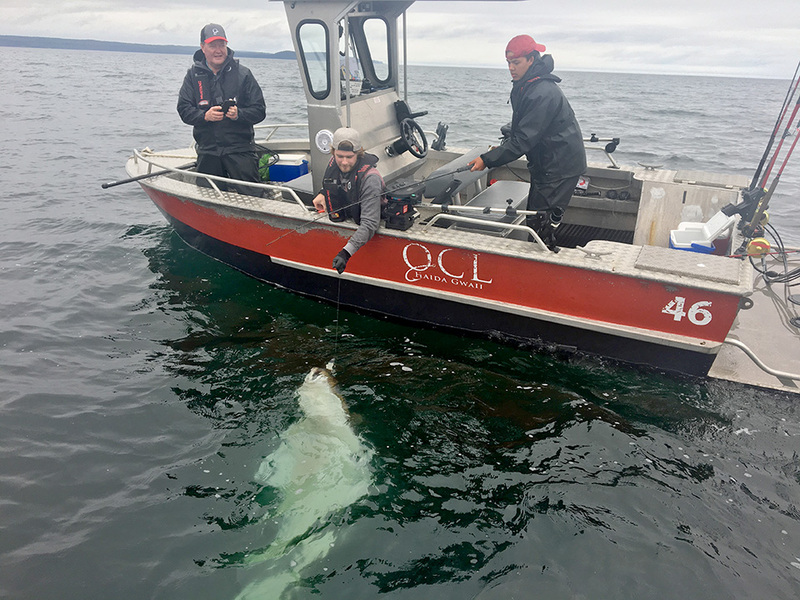 It’s not unusual for us to see a number of halibut in excess of 100-pounds released every week. And sometimes they are massive – over 6-feet in length. 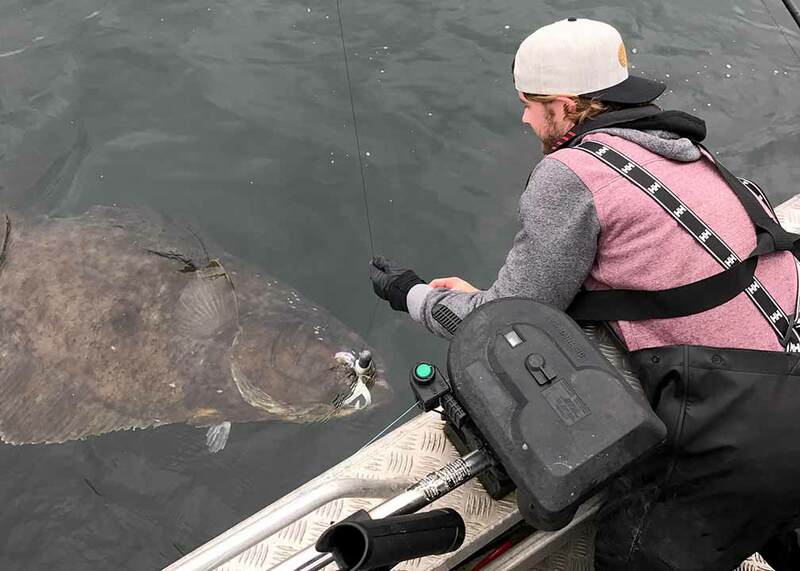 Well last week, working with some largish tides, lodge guest Derek Benson and his father spent some time in a couple of boats with friends, fishing offshore in the hunt for a big halibut. They tried out a few of our favourite waypoints but found their best luck over a hump 215 feet down. There was a fair bit of excitement when they returned to the lodge and shared their many photos and videos of the results! Derek tells the story pretty well! Congratulations to Derek and his crew on a great angling achievement! 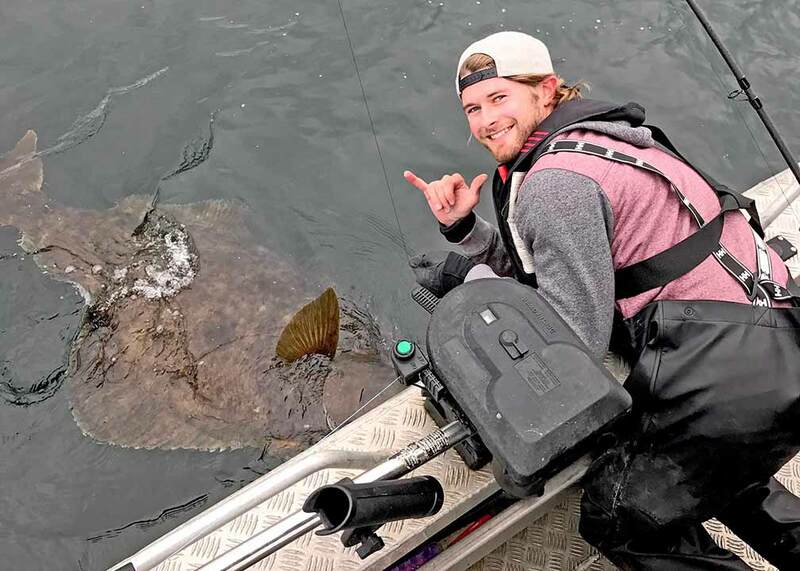 Two years ago we recorded a fish for Bruce Severson and George Best that measured out to 90 inches in length for a score of 405 pounds and we doubted that we would ever see another fish in that league. 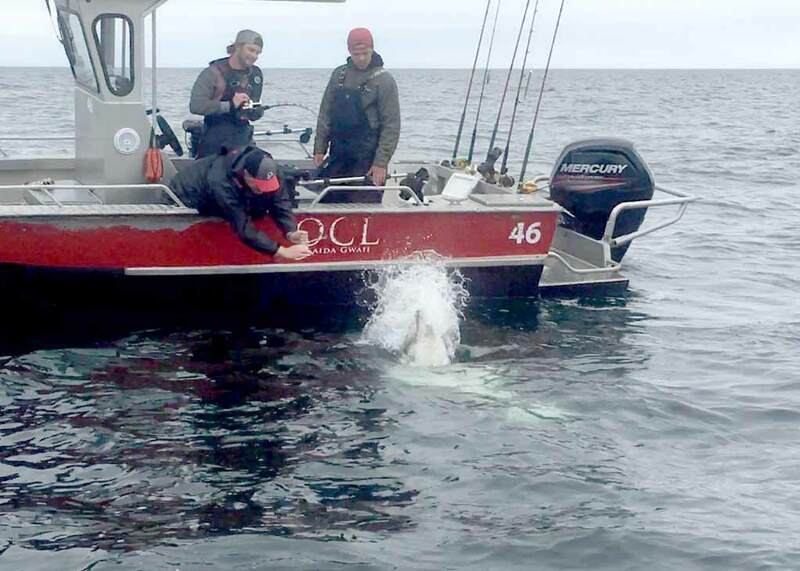 This one certainly is and we’ll be happy to add Derek’s 474-pounder to the QCL record book! 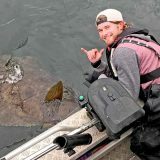 We’ve seen a lot of great fish up here and we’re always in awe of the quality of our fishery! Every time a new record is set, we’re happy to celebrate it! I miss this place badddd. Hope to get back there soon Kevin!